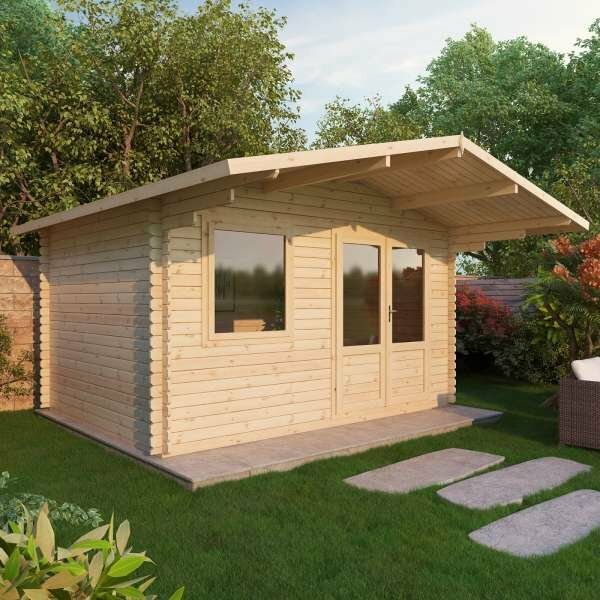 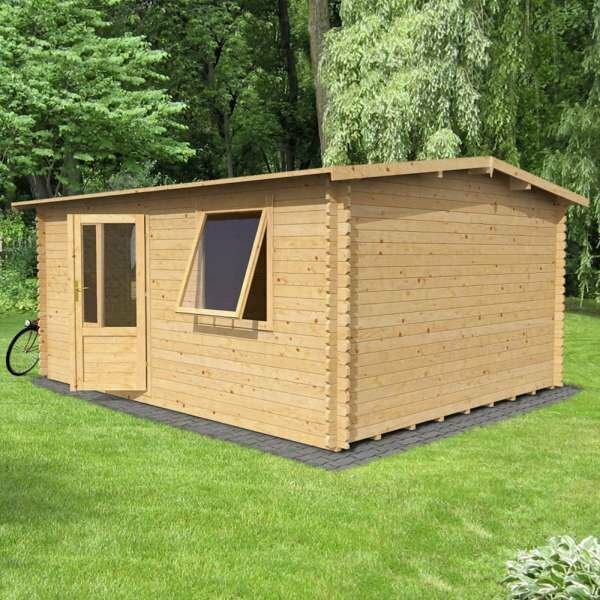 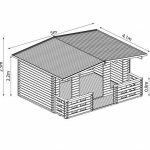 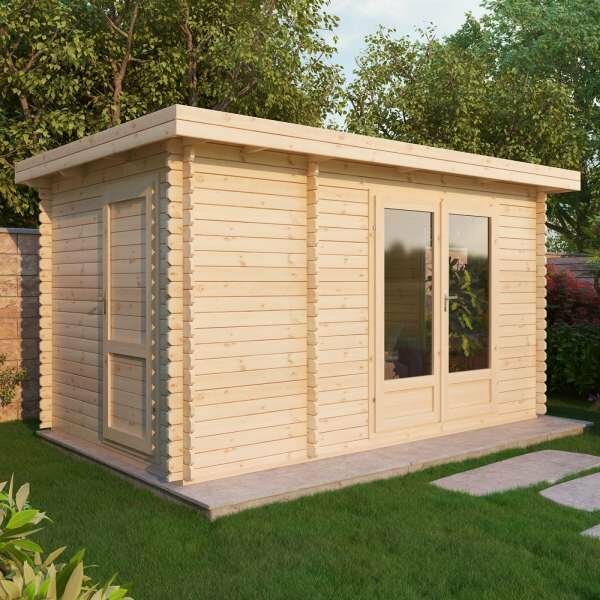 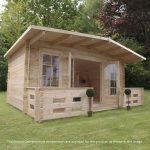 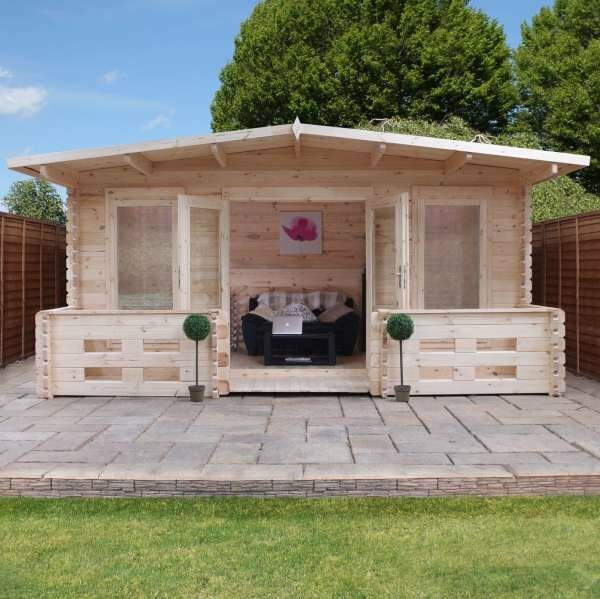 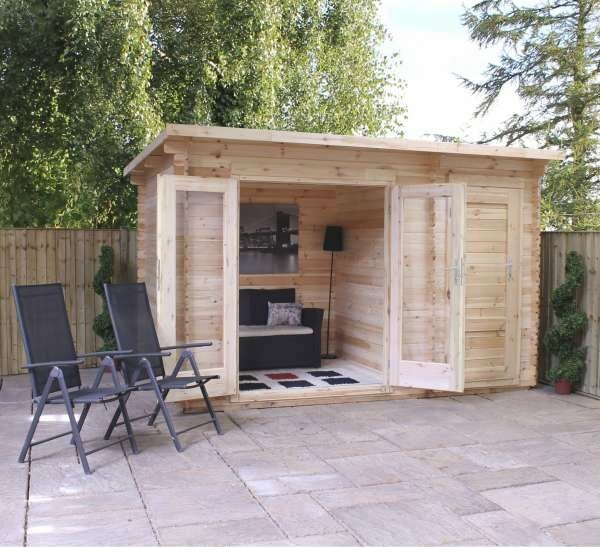 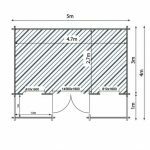 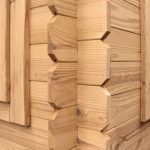 A long-lasting, weather-resistant shed structure, the Woburn Log Cabin is an attractive garden building, available in 28, 34 and 44mm thick timbers. 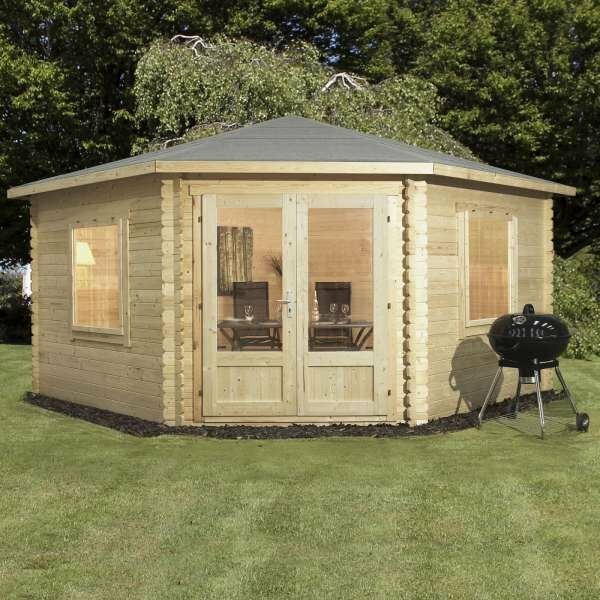 Resembling a swiss chalet somewhat, the roof extends, making the appearance unique. 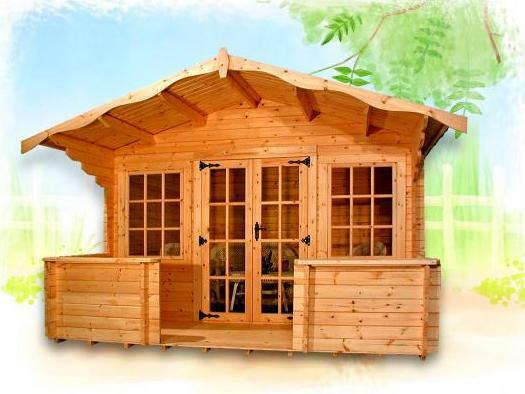 The front veranda finishes off the structure perfectly. 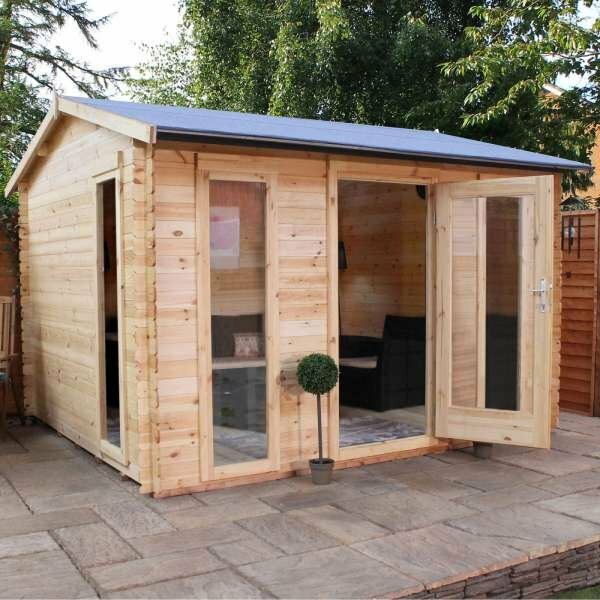 Utilise to create a garden living space, a workroom, or a miniature gym. 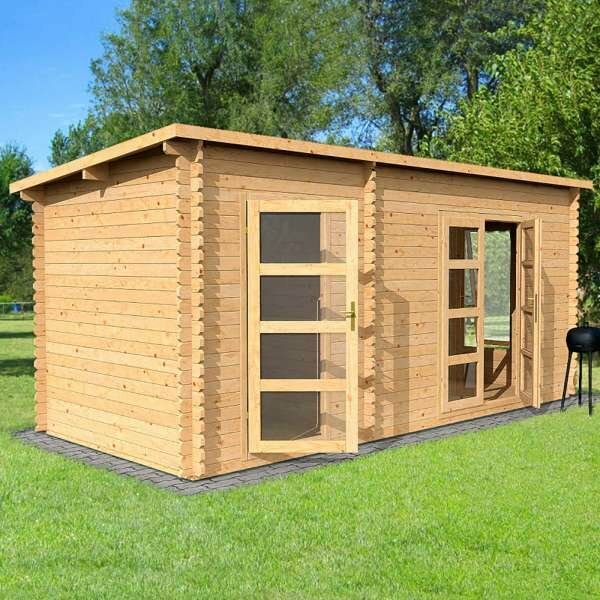 The Woburn log cabin contains 2 large Georgian style doors and windows and has been manufactured with 19mm tongue and groove timber.